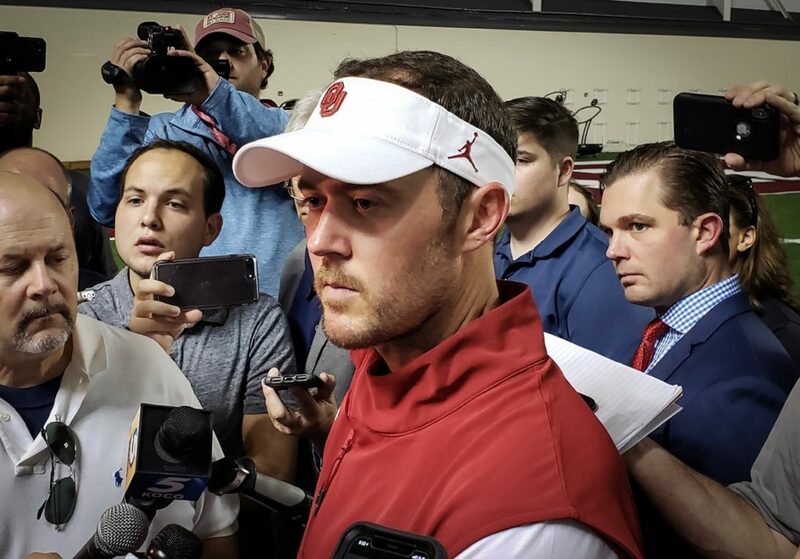 Almost 24 hours after Oklahoma coach Lincoln Riley fired longtime defensive coordinator Mike Stoops, he said it was a tough day for him and the program. Riley said the main reason he fired Stoops was the need for a spark in the defensive locker room. Riley was asked how much Saturday’s 48-45 loss to Texas played into his decision to fire Stoops now. Various reports had said Riley was forced to fire Stoops by OU president James L. Gallogly. Riley flatly denied those rumors. Ruffin McNeil, 59, was named the interim defensive coordinator to replace Stoops. According to Riley, he will have playcalling duties as well. Riley also addressed rumors of linebacker Curtis Bolton leaving the stadium during the game because of frustration at what was taking place on the field.